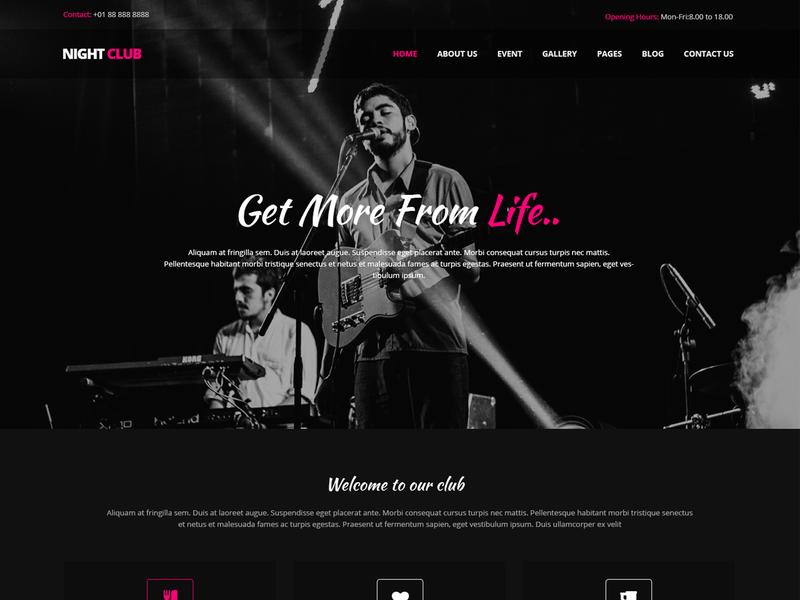 NightSpot WordPress theme is theme created for nightclubs, restaurants and bars that want online presence. It is the perfect platform for informing the public of event and parties. Event scheduling, artist profiles and calendars are all included out of the box. Businesses like nightclub, restaurants, clubs or even hotels are tremendously adopted as primary means of information and research as people would often like to research the place they want to visit. NightSpot WordPress Theme comes with lots of slideshows elements. With the slideshows, displaying the attractive information in an interactive way enhances the interest of the customers. This theme compatible with the latest version of WordPress and plugins like wocommerce and contact form .